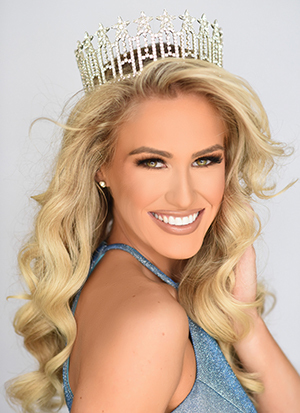 Evelyn Clark, Miss Washington USA will be on site today. 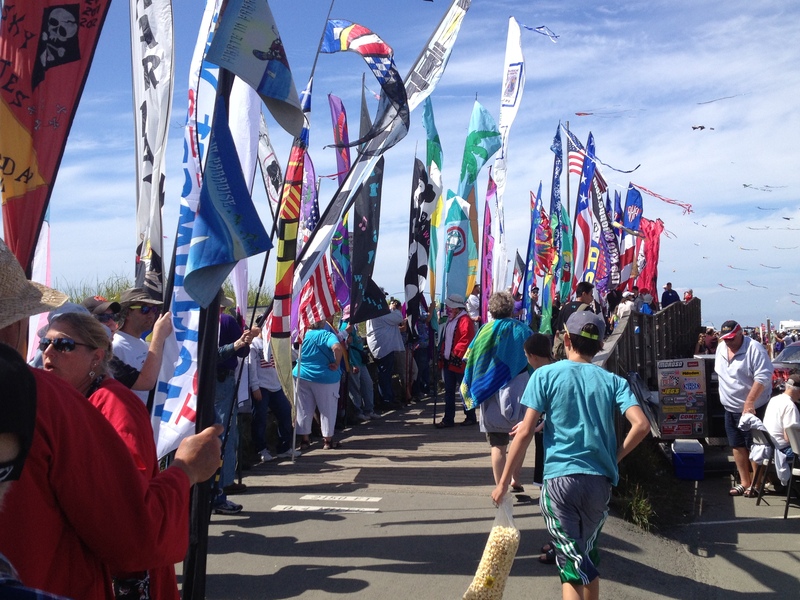 Join the Parade of Colors with your flag or banner! Everyone is welcome! Line up beginning at the north end of the Boardwalk. The parade will march on the boardwalk and then around Field A. If you cannot walk through the sand, then join us at the Field. The Recognition Ceremony for the Featured Flyers will be held once the parade participants are around the field. The first 100 participants who line up with a flag or banner will receive a Parade Pin. Pins will be given as you come off the field. Children nine (9) and under can register beginning at 10:30 am until 11:30 am. Fifteen names will be drawn and those children will go out on the field and catch their bear. Is that a “Bear in the Air”? Yes, the Long Beach Bears will be performing at the WSIKF on Saturday. This year’s graduating class includes expert sky divers jumping for the opportunity to go home with a lucky boy or girl. The whole squadron of Bears has been practicing all year to get ready for this event. The robust elimination process, which determined today’s performers, was highly competitive. Fifteen members of the Long Beach Bears Squadron are looking forward to retirement and enjoying the “easy life” at their new home. This event is FREE to all children age nine (9) and under. Registration will begin at 11:30 am in the Registration Tent. 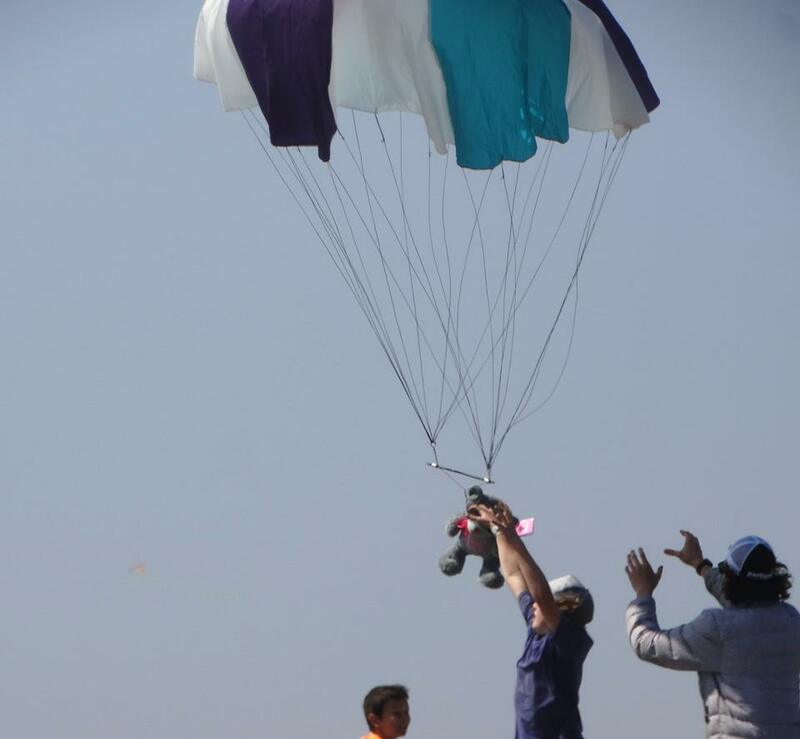 All those children present who have registered prior to the jump will be in the drawing to provide a good home for one of the skydivers. Children must be present when their name is drawn to be able to take home a Long Beach Bear. Come to Field A ready to cheer for the Bears performing their final jump before retirement. Have you got a Cody kite? Well, come and join us! Let’s break the record this year! The first 120 people who register will get a free Cody pin! Registration begins Saturday morning at 9:00 am at the tent in front of field A. A person not owning a Cody may fly someone else’s kite. 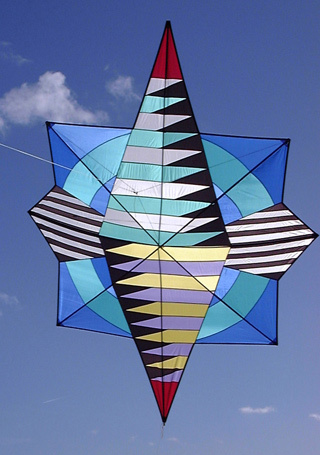 Cody kites DO NOT need to be handmade. If there is insufficient wind, the event will still be held. Each kite must be flying in the air for a minimum of 2 minutes to count towards the record and final count. Please stay after the fly and get in on the group picture so that everyone has a record of those who were present this year. Your picture of previous years and this year, can be downloaded from of the Washington Kitefliers Association web site: http://wka.kitefliers.org. HAVE YOU SEEN THE FAIRY GODMOTHER? Join Fairy Godmother, Glenda Kleppin; her apprentice, Glenda Davenport; and their friends and frogs. 10:45 Meet to join the Banner Parade at the North corner of field A. Wear a costume if you have one. 1:00 Meet at the pop-up tent on Bolstad Approach West of the First Aid Tent. The first 200 children under 8 to find them will be rewarded with a special animal. This is a team competition in which the emphasis is on fun more than winning. The objective is to knock or cut other kites out of the sky using your team’s kite. AKA competition rules will be used. In order to ensure the safety and maximize the enjoyment of the teams, the following rules will be strictly enforced. A team consists of at least three members. They must fly a traditional Rokkaku (hexagon) shaped kite. All team members must be on the flying field at the beginning of the competition. The addition of team members from outside the field will result in immediate disqualification and removal of the team from the field. 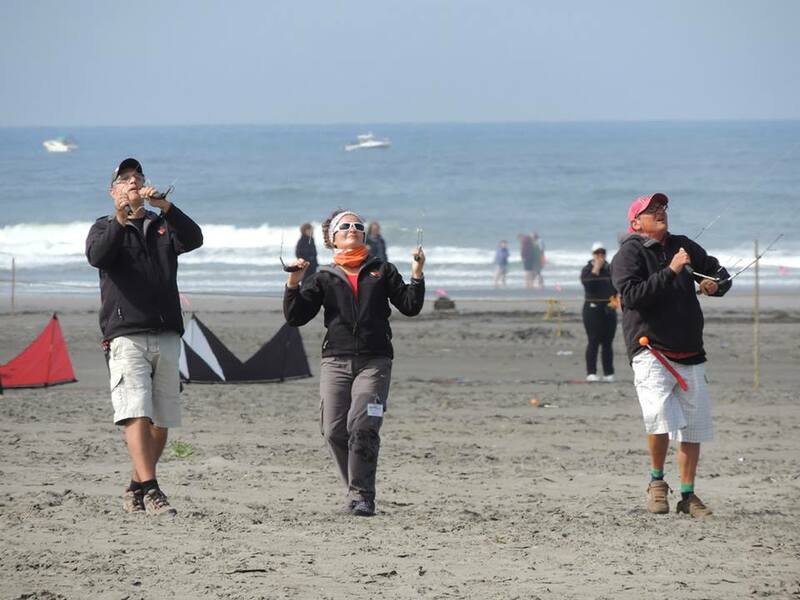 All team members must be holding onto their kite line during the entire competition. 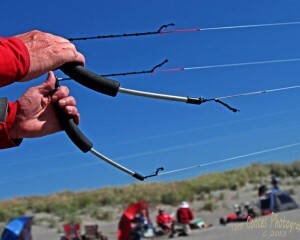 Failure to hold on to the line will result in disqualification of the team. Team members must avoid body contact with opposing team members and their lines. Any obvious attempt to make such contact will result in disqualification. Any team observed not engaging for a 30 second period will be given a 30 second warning. They will be timed by a judge and disqualified if contact is not made. Teams will also be timed for contact on a random basis. The judges may stop the competition at any time by sounding a whistle or horn. All competitors must stop in place at the sound. It is expected that this will only occur in the event of an injury or if an unsafe condition is felt to exist on the field. Part 3 of a four part pin set for the first 240 flyers.